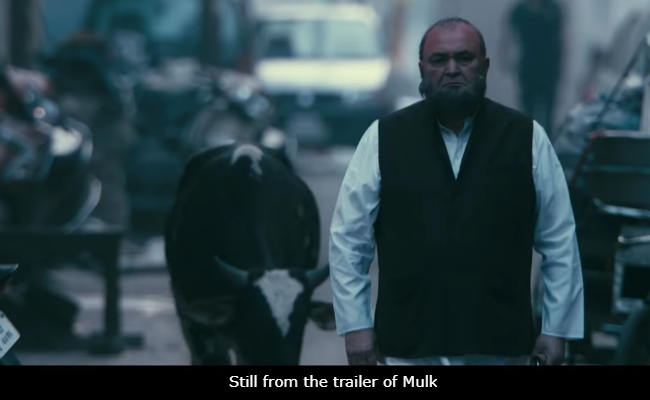 Mulk Movie Review: Watch it for its stout-hearted espousal of sanity. It isn't often that Bollywood shows such spine. Not that it broaches everything that there is to say about Islamophobia and its terrible repercussions - in fact, it really isn't possible for a single 140-minute film to cover all the dimensions of the theme - but Anubhav Sinha's Mulk is a compelling, uncommonly courageous drama that gets as close to the truth as a Mumbai film ever can, especially given the times that we live in. 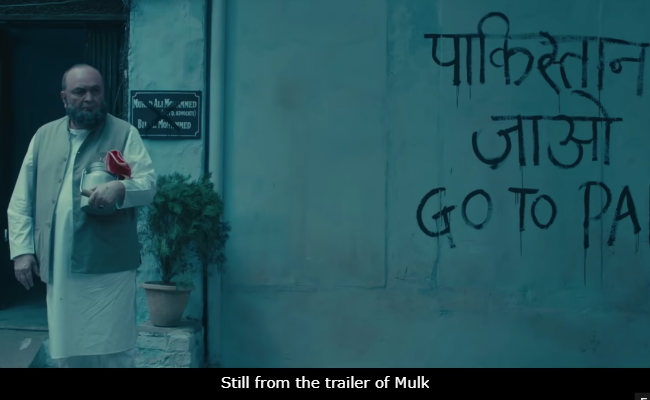 When Hindi cinema willingly crawls when it is asked to bend and a majority of India's television news channels shy away from speaking up against organized forces that peddle communal hate as political strategy, the relevance of a film like Mulk, which goes hammer and tongs at poisoned mindsets, cannot be overstated. Mulk articulates the prejudice of those that are quick to tar an entire community with the same brush for the violent actions of a few, but see no wrong in the systemic violence - political, social and economic - that is perpetrated day in and day out on those that are condemned to the fringes of a counterfeit development story designed to serve narrow interests. 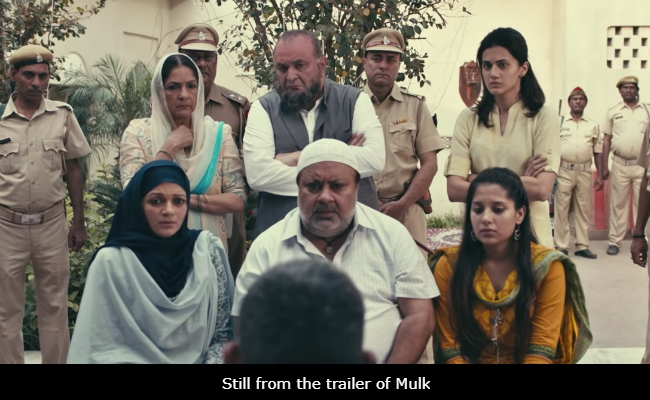 Mulk is an important film because it reflects the concerns of those that hold humanity dear and abhor binaries fuelled by WhatsApp-driven fear-mongering. The writer-director employs the character of a perennially smirking public prosecutor, Santosh Anand (Ashutosh Rana), to represent majoritarian assertions born out of unbridled prejudice. Muslims live in poverty, are poorly educated, and their young men are prone to being swayed in the name of religion: that is what the lawyer submits to the judge more than once while trotting out half-baked facts about a family he has decided to make an example of. There are others, too, who let their bigotry get the better of them, notably Chaubey (Atul Tiwari), a paan-shop owner who has been a friend of the film's principal character Murad Ali Mohammed, a retired Varanasi advocate, for four decades and tucks into meat dishes on the sly. Inspired in part by his militant son, he turns against his buddy and his family. Early in the film, the superannuated lawyer celebrates his 65th birthday with the entire neighbourhood joining in. One woman at the party, however, thinks nothing of othering the host's family: "vnaachne-gaane ke liye toh theek hai, par hum khaana nahin khaate in logon ke yahaan (the music and dance is all very fine, but we do not eat in the homes of these people)." That is exactly where it all begins. This intense courtroom drama, which tends occasionally to err on the side of a degree of theatricality but without suffering too much damage, is, principally about Murad Ali Mohammed (Rishi Kapoor) whose life is thrown into disarray when his nephew Shahid (Prateik Babbar) is drawn into a jihadist conspiracy. It results in a bomb blast that kills 16 innocents, 'HINDUstanis', as the public prosecutor repeatedly harps on. Murad's brother Bilaal Mohammed (Manoj Pahwa) - the two ageing siblings are barely on talking terms - is taken into custody for questioning. Anti-terror squad officer Danish Javed (Rajat Kapoor), himself a Muslim, is bent upon proving Bilaal's complicity in the terror attack. The family, which has lived in a Varanasi house erected in 1927 and chose not to leave India at the time of Partition, is hounded, ostracised and even subjected to an attack by a stone-throwing mob. 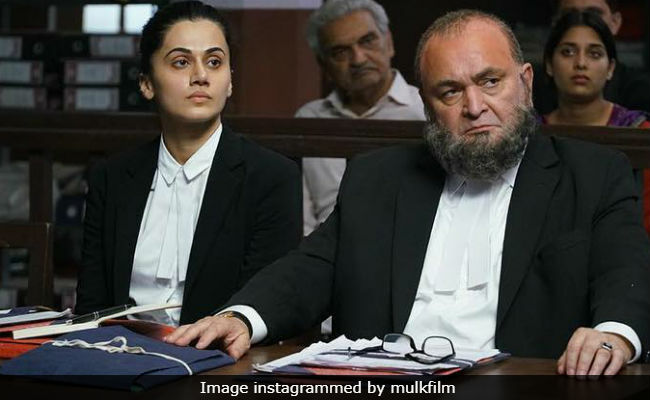 His Hindu daughter-in-law Aarti (Taapsee Pannu) by his side, Murad comes out of retirement to fight his embattled brother's case. The old man is himself quickly dragged into the case and finds himself having to prove his patriotism. Aarti steps into the breach and becomes his defence lawyer. In conversations strewn across Mulk, the principal characters attempt to define jihad (holy war), deshdroh (treason) and aatankvaad (terrorism), among other dreaded notions. The spotlight, however, remains firmly on the story of a family increasingly painted into a corner. During the court proceedings, Anand summons Shahid's sister to the witness stand and asks her how she felt when her brother died. I felt very bad, she replies. Why? Because he was my brother, she says. See, the lawyer thunders in an unthinking, I-told-you-so tone, she has no remorse for her brother's murderous act. Mulk is certainly no Garm Hava or Shahid. It doesn't strive for subtlety. It places all its cards on the table, faces up. So we know exactly what is going on and what is about to come, yet the film holds one's attention as much for the urgency of the theme as the sustained quality of the acting and the mood-enhancing camerawork (Ewan Mulligan, who also filmed Sinha's Tum Bin 2) that takes in the hustle-bustle of the markets and streets of a small-town to create an apt backdrop for a drama that otherwise primarily unfolds indoors. Rishi Kapoor is consistently on the ball as the protagonist who wears an identity-marking beard, prays five times a day and asserts that he is answerable only to his imaan (faith) and mulk (country). The veteran actor provides the bulwark upon which Mulk builds itself. He receives solid support from Manoj Pahwa, who is generally pushed by Bollywood to the comic cameo zone. Here, he grabs the opportunity offered by a meaty role with both hands and leaves a very deep imprint. Taapsee Pannu is outstanding in the role of Murad Ali Mohammed's Hindu daughter-in-law and lawyer. In a perfectly balanced performance, she conveys the anger and the anguish of an independent-spirited woman who is aghast at the way her entire family is put in the dock. The last quarter of the film hinges almost entirely on her. She carries the burden with aplomb, putting her Pink performance in the shade by a fair distance. 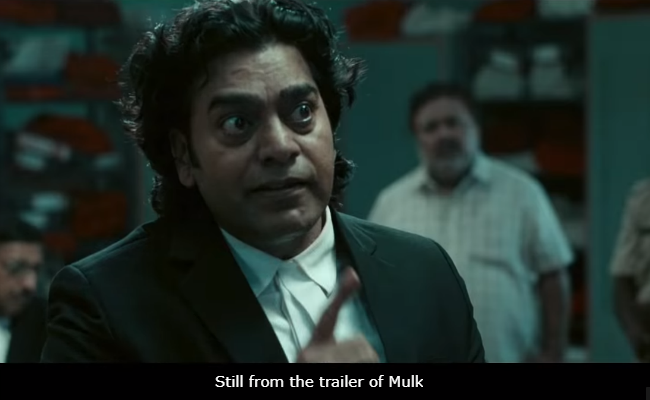 The first thing that strikes you about Mulk is that it is the sort of film that has no precedence in Anubhav Sinha's career. But that certainly is of no particular importance when compared to the pluck that it displays in articulating truths about a nation of magnificent religious, cultural and linguistic diversity that is being pushed to the brink of destruction by forces that have taken upon themselves the right to decide who fits in and who doesn't. At the heart Mulk is a fearless spirit that is a far cry from the abject timidity of Bollywood, an industry that believes in upholding the status quo even if it threatens to endanger the precious pluralistic ethos that lies at the foundation of this vast nation. In making its extremely timely statement, this film allows itself to lean a tad towards conventional melodrama. But it makes its point with such force that it is difficult not to be impressed. 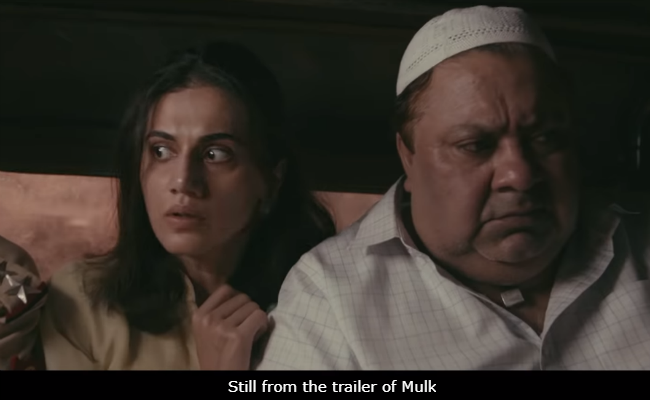 Go watch Mulk for its stout-hearted espousal of sanity. It isn't often that Bollywood shows such spine.